A bedroom is always a special place in any home– serving as a sanctuary for relaxation and sleep, homeowners often look for suitable decor that promotes these functions. Investing in some gorgeous custom stained glass for your bedroom can really elevate decor, address privacy issues, and create the sanctuary you deserve. 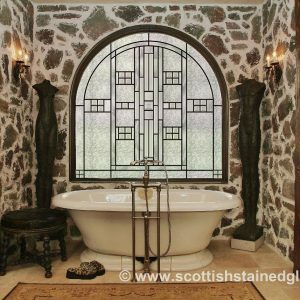 Custom stained glass can be designed to complement your existing style, improving overall aesthetics and comfort. Finding the right windows for your bedroom can be tricky– some people love being woken up by sunlight and others appreciate being able to sleep in a darker setting. Window coverings can lend a tacky look to an otherwise contemporary space while those who love sunshine deal with privacy concerns. 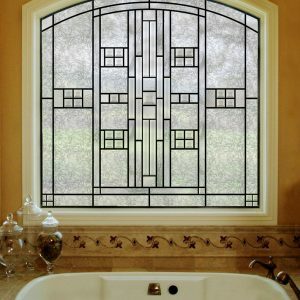 Stained glass addresses privacy issues by obstructing unwanted views into your bedroom. This is accomplished by both leaded and colored stained glass designs. Homeowners can create a beautiful masterpiece that ensures the required privacy for their bedroom. Certain colored stained glass can also limit light transmissions while leaded glass allows significant light transmissions. Creating custom stained glass can deliver exactly what you’re looking for to improve the comfort and privacy of your bedroom. Numerous bedrooms can have built-ins, vanities, and different cabinetry that serve for various storage and display needs. Custom stained glass offers really unique aesthetics that can transform out-dated or ordinary storage items into gorgeous, eye-catching attractions. From modern, leaded glass to intriguing pops of color, this highly versatile medium allows you to achieve any look you desire. All you need are your dimensions to get started in creating your very own custom bedroom stained glass. Our custom builder allows you to create the perfect privacy leaded glass or limited light transmission stained glass exactly the way you want it for your bedroom. If there is a specific design that you can’t get exactly the way you’d like, simply call us! One of our stained glass artisans would love to work with you directly to get it just right. 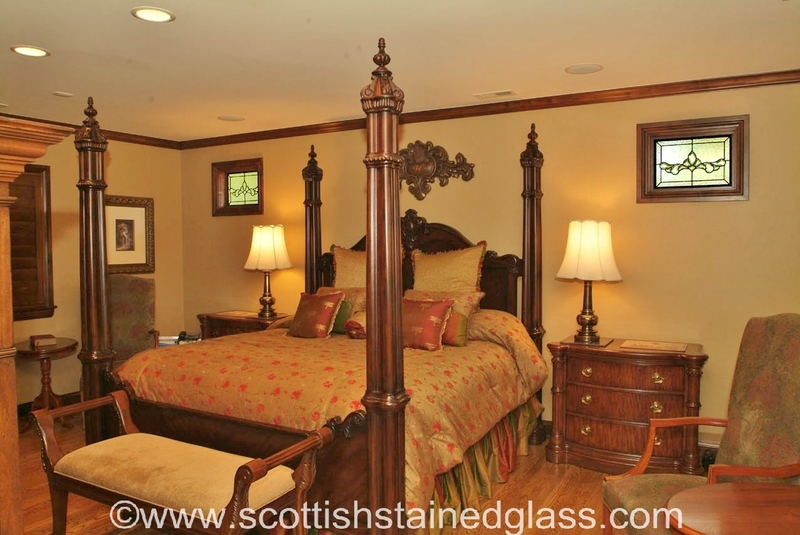 For more information regarding custom stained glass for your bedroom, please contact us!